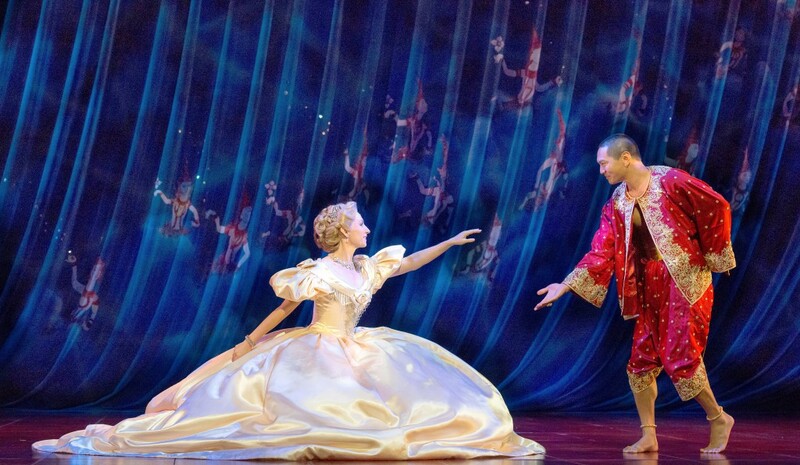 Out of mothballs after 23 years, and polished to a sterling gleam, Rodgers and Hammerstein’s The King and I whistles its happy tune once more. 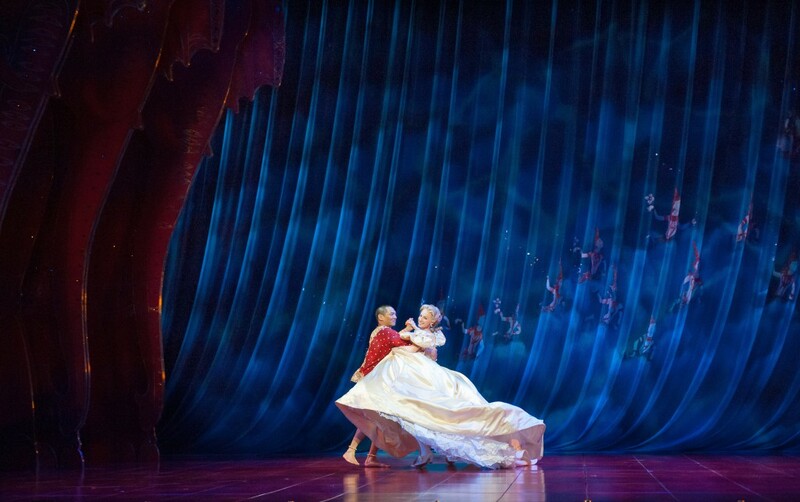 The years have been extraordinarily kind to the concept behind the lavish costumes and sumptuous set, with the design looking like it cost a king’s ransom in the ideal space of the Princess Theatre. Brian Thomson and Roger Kirk, Tony winners for their sets and costumes respectively, are not the only creatives reunited for the remounting of this esteemed production. Musical Director Peter Casey presides over a superb 18-piece orchestra; Susan Kikuchi recreates and enhances Jerome Robbins’ original choreography; and director Christopher Renshaw, after helming international award-winning seasons, finds new layers in the text. Thomson and Kirk’s designs are a true star attraction, glittering in jewel tones and featuring a seemingly endless number of intricate, fascinating details. 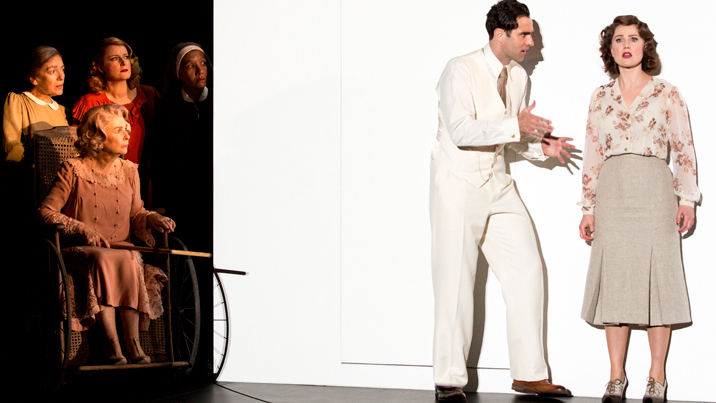 Thomson’s use of curtains allows for a seamless flow, the original score’s multiple reprises to cover scene changes long gone. Kirk’s costumes not only dazzle the eye, but also contribute significantly to the story telling. Both aspects shimmer and glisten to full effect thanks to the expert lighting of Nigel Leving. While the 63-year old musical with its long book scenes does not have the breathless pace of, say, Wicked or Legally Blonde, there are several key moments that cannot fail to charm and delight. The enchantment of “The March of the Siamese Children” is complemented by the lovely sentiment of “Getting to Know You.” The highly untraditional romance, if that is even the right word, between the King and Anna hits its strides at the end of act one after Lady Thiang delivers the romantic showstopper “Something Wonderful.” The relationship culminates in a moving climax as the pair take flight in “Shall We Dance” before Anna finally breaks the King’s will as he prepares to punish his concubine. In interesting piece of direction at this point, Renshaw has the King actually suffer a major chest trauma, which helps the ending of the story make more sense. Towering above these highlights is the artistic triumph of act two ballet, “The Small House of Uncle Thomas.” The extended sequence features unusual music, exotic choreography, spectacular costumes and ingenious storytelling. Suffering concubine Tuptim uses her adaption of Uncle Tom’s Cabin to present a public, thinly veiled message of loathing for the King’s oppressive rule. Mentions of ice and snow demonstrate how much Anna’s pupils have learned. Heroine Poor Eliza’s costume and headdress have been deliberately fashioned to resemble Tuptim’s first costume. 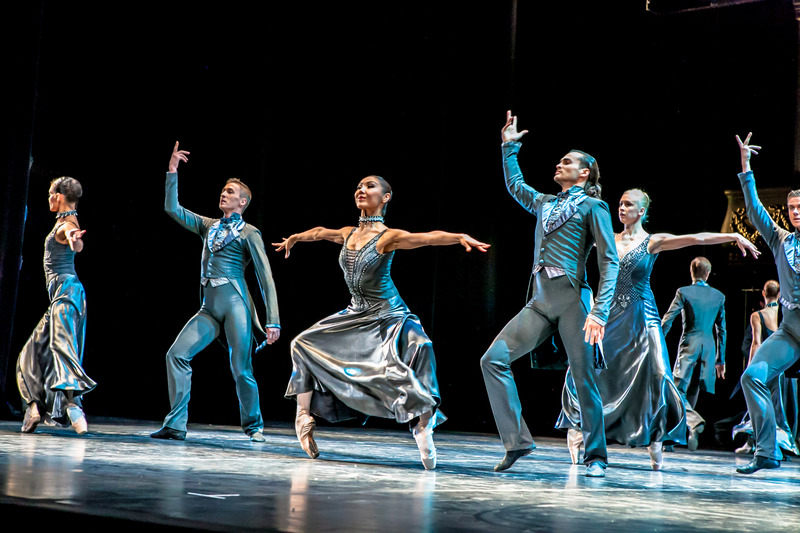 Kudos to the ensemble performers for presenting the exquisite angles and expressions of the ballet so beautifully. 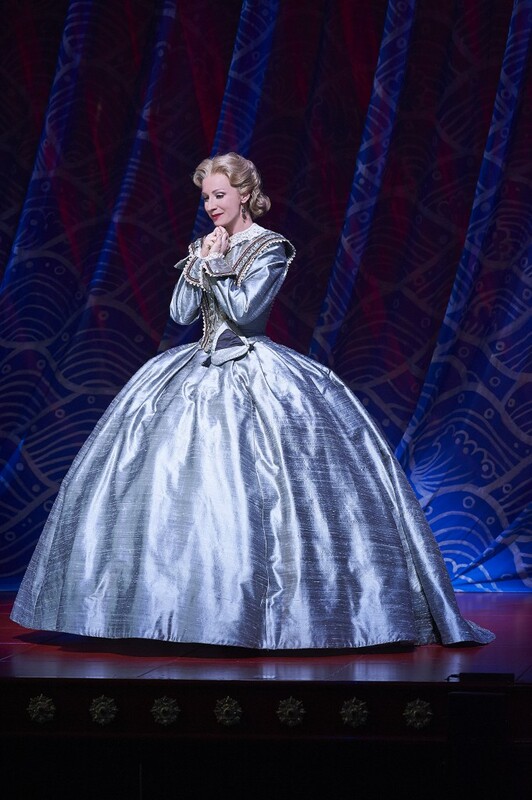 Longtime ingénue Lisa McCune has blossomed and matured as a performer, and has the requisite presence and grace to play Anna Leonowens. Channeling the dulcet tones of Julie Andrews in her speaking voice, McCune’s soprano is pleasant, if not particularly powerful, in the multitude of hit songs. McCune is certainly given some stunning costumes and wigs to wear, and she looks gorgeous at all times. 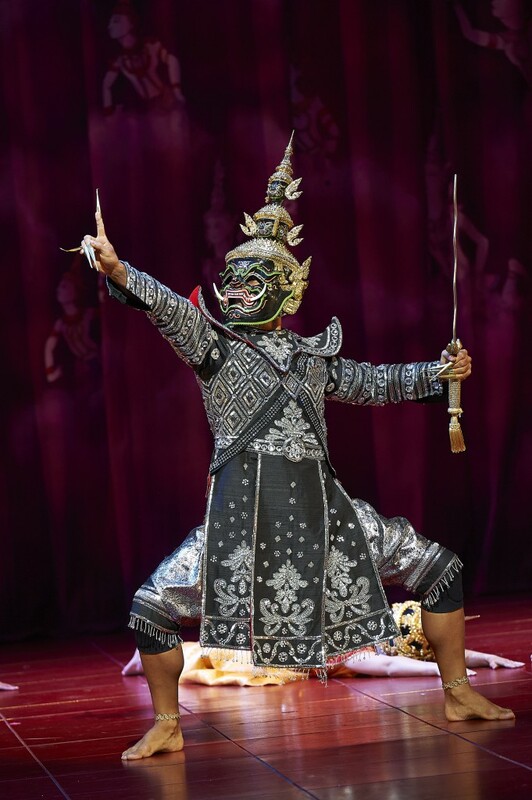 Melbourne is lucky enough to have visiting performer Jason Scott Lee, who also played the King in the 2000 London season of this production. Lee balances the gruff elements of the role with an ever-present twinkle in his eye. He manages to be both brash and endearing, subtly introducing the King’s vulnerable side. Lee and McCune’s chemistry is a little slow to develop but eventually the magic of the show takes effect. The non-traditional nature of the central relationship shifts the romantic ballads and duets to young lovers Lun Than and Tuptim. Buff tenor Adrian Li Donni shows remarkable advances in his performance since playing the same role for The Production Company in 2010. The velvety smoothness of his singing voice is a pleasure to hear. Jenny Liu suffered from pitch problems on opening night, possibly due to nerves. Without wishing to sound sexist or judgmental in any way, it seems an unusual choice to have such a curvy actress looking so overtly sexual when playing the usually petite and innocent Tuptim. In a lovely piece of casting, Shu-Cheen Yu, who played Tuptim in the original 1991 production, returns to play first wife Lady Thiang. Yu has magnetism to spare, expertly conveying the steely fragility of a woman who both fears and accepts social change. Yu’s delivery of “Something Wonderful” is exactly as the title describes. Marty Rhone provides charismatic support in the rather thankless role of The Kralahome, The King’s Prime Minister. John Adam creates two entirely different characterisations and appearances for a pair of featured roles. On opening night, experienced young performer Beau Woodbridge was endearingly sweet without a hint of mawkishness as Anna’s son Louis. 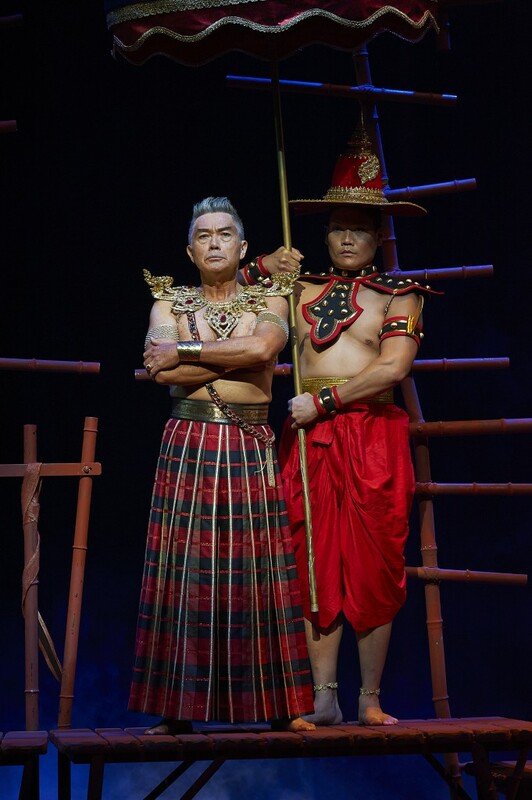 David Tan gave an impressively bold and confident performance as royal heir Prince Chungalongkorn. The entire chorus of Royal Children were poised, quirky, polished and totally adorable. 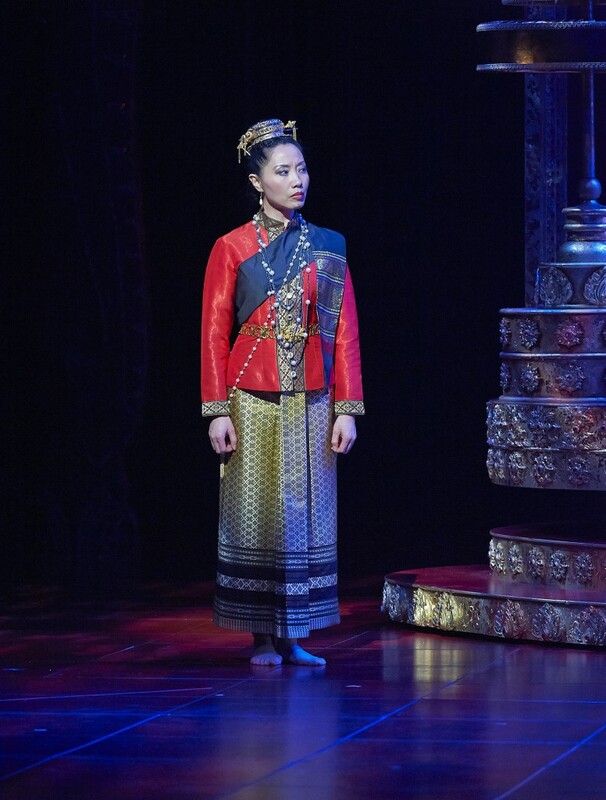 For good old-fashioned entertainment, The King & I is unbeatable. Swoon at the romance and marvel at the splendour. That you’ve written this illustrates that you are sounding that way, and you know it. For the record, Jenny Liu is about 5 feet tall, and an Australian size 6. To imply that this is not “petite” because you don’t think an innocent female character can have breasts, is precisely both sexist and judgemental. Jenny Liu is absolutely gorgeous. I was concerned with the fact that she was presented in a way that did not quite suit the role of Tuptim. I have no immediate defence to sounding sexist, but it would be my clear intention to comment on a male performer if they were cast or presented in a way that was somehow not in line with the original intention of a show. An excellent show. And a superb review, Simon. Well done to all. Thanks very much Ash. Honoured to sit next to you on opening night. And thrilled for Melbourne with the way these theatres are all lighting up with hit shows. One more to come in early July. See you there! Sorry to hear you didn’t enjoy it Susie. I think I would call Lisa McCune a local singer though. And I am not an amateur company would be able to mount such a lavish staging. 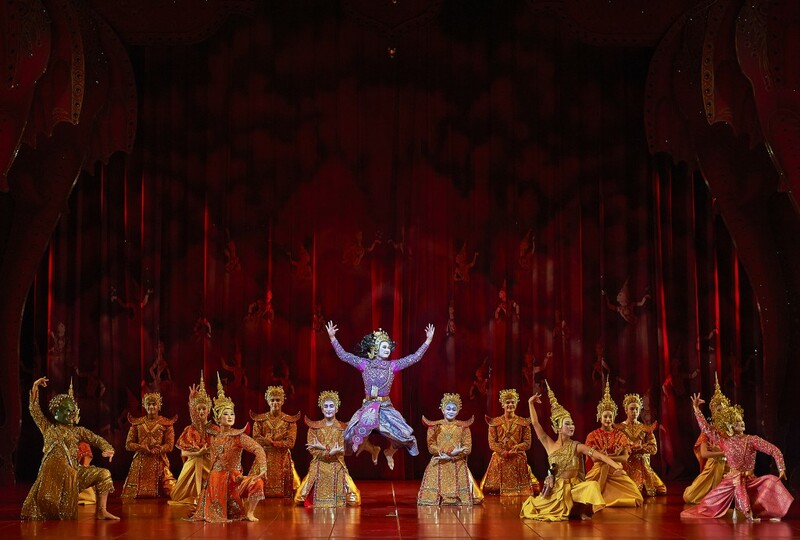 It will be interesting, though, to see how lavish the new Broadway production of King & I is next year in comparison. Don’t think we will ever see it in Australia though. You might like Les Mis more – excellent new production and a full cast of up and coming Australian talent. yes it was very lavish but still amateurish. Lisa is a local singer but was not a strong voice .As for Lou …..very flat .These large productions insist on using “big names” to get in the crowds but I believe the people would go to them irrespective of who was in them .We don’t get that many stage production so give others a go. Use anyone who has a great voice and can act not just because they are known. I saw Les Mis in London in 2012. All were amazing, If our version is half as good it will be great. I am certainly in favour of using local singers in all productions. It is very disappointing that the lead male role in ‘Once’ has been given to an English import. There are surely many Australian actors who could have played that role. I am yet to see Lou Diamond Phillips as the King. I will have to check out his performance so that I can see what I think.. I posted a comment in reply to Susie’s comment and I’m wondering why it isn’t here anymore as it contained nothing offensive. I voiced the opinion that Lisa McCune gave a moving and accomplished performance and she was an asset to the show. I also pointed out that McCune had recently won accolades for her performance in South Pacific. I just thought that someone should defend her gift of a performance! Sorry about this – I do not know what happened to your earlier comment. I am sure that I did not delete it. Thank you for taking the time to write again. I believe in fairness and I think there’s a tendency to describe McCune solely as a soapie star without referring to the fact that she was trained for musical theatre and has had quite a lot of experience in that field. I’m sure if she was good enough to work directly under 2 Broadway directors in her musical theatre career critics can stop referring to her in their snide way as the Logie winner. It was acceptable in 2000 but now it just sounds like sabotage. Oh, by the way, I’m not implying that our own fabulous directors are a lesser breed than those on Broadway and the West End. I saw Les Miz on Broadway last November and it wasn’t a patch on our recent production. I saw The King and I too and, whilst I agree with your review, I don’t for a minute doubt that Sher couldn’t reproduce the same show here, like he did with South Pacific, and with our actors. 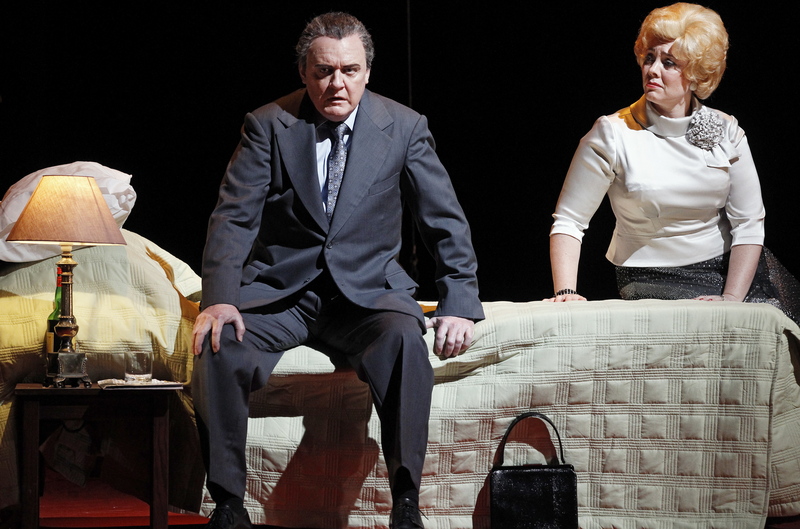 O’Hara has a stronger voice than McCune’s – (she has a stronger voice than most people for that matter) but her performance didn’t necessarily move me more, or linger with me to a greater extent. To me voices are like faces – I prefer one with character and expressiveness – over volume and size. And that’s what I heard with our Mrs Anna. I’m sorry you and Suzy didn’t hear the same – though ‘pleasant’ is better than nothing I suppose! Just out of interest Simon, do you have any thoughts on who will be cast in My Fair Lady? I’m keeping my fingers crossed that Julie Andrews will pick an unknown and not someone from the current stable of 30 somethings doing the rounds. None of them do much for me. Having said that (Cossette excepted) I’d definitely be happy to see it go to either of the Les Miz girls. I’d also love Simon Gleeson to be cast as Freddy. I know it’s not the main role but imagine what he could do with ‘The Street where you live’? He’d bring the house down. I think it’s a bit rich of them to start selling tickets before they announce the cast. I can’t remember that ever being done before. I am eagerly awaiting the cast announcement for My Fair Lady. o many great performers for Julie Andrews to choose from. I also hope she will make exciting, fresh choices. I agree about the arrangement of selling tickets before the cast is announced, but I suppose if people are willing to buy the tickets early the producers may as well make the sales. Hope we hear the cast very soon!